Boundary-less, suspended by a frame of white sapphires and silver, our Essence necklace becomes a mirror to your soul, expressing depth, beauty, and wonder. 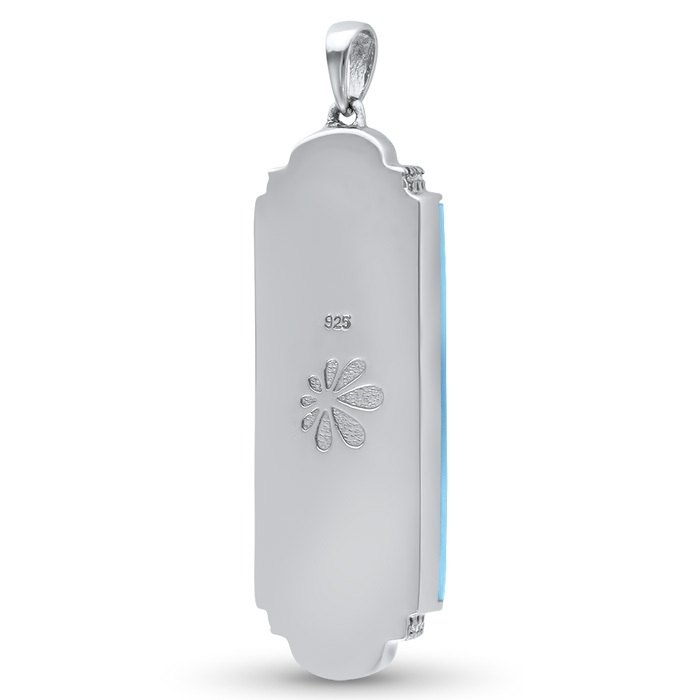 Set yourself apart with this outstanding piece of jewelry! 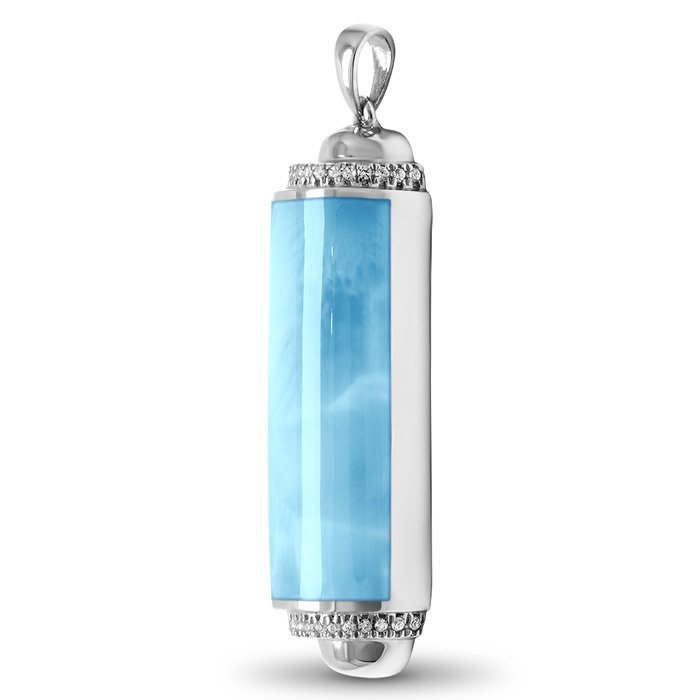 Product Details: 13x28mm larimar gemstone and sterling silver. Overall size is 13x37mm. Comes with an adjustable 21” sterling silver chain with an easy, sliding mechanism and lobster clasp that you can set to the perfect length for your look!